A Black and White Cookie Disaster...Do you have a better recipe for me? I made bad cookies. Seriously, I almost threw them in the trash...I didn't, but I seriously contemplated it. Not that they were in-edible, but they definitely do not live up to actually being called black and white cookies, which is totally what I was going for. I don't know what happened, I thought I followed the recipe, read all of the instructions and followed them like normal. Maybe I was distracted, maybe I missed a step or maybe this recipe just wasn't the best one. Either way, I will try again. I am excited to have Michelle D'Ettorre doing the 3rd guest post! Michelle is my office space buddy (aka we sit right next to one another and chat all day long), co-worker, fellow baker and southerner. Plus, she shows me the cutest videos of her baby boy and I totally try to show off pictures of my nephews. Oh and did I mention she makes home made dog treats (Barked Goods) and is a blogger herself (Mrs. Alexandria). Michelle is a great gluten-free baker who only uses unprocessed sugars when baking. Michelle has helped me to broaden my gluten-free baking adventures, always giving me new ideas and reasons to try new things. I was super excited to have her do this King Cake just in time for Mardi Gras! Enjoy! This past weekend was one of those great weekends with two of my very favorite people! It all started early Friday morning on a flight that was bound for Birmingham. I knew there would be great times, with good food, lots of carbs and a long run in my future...oh and a lot of girl talk. 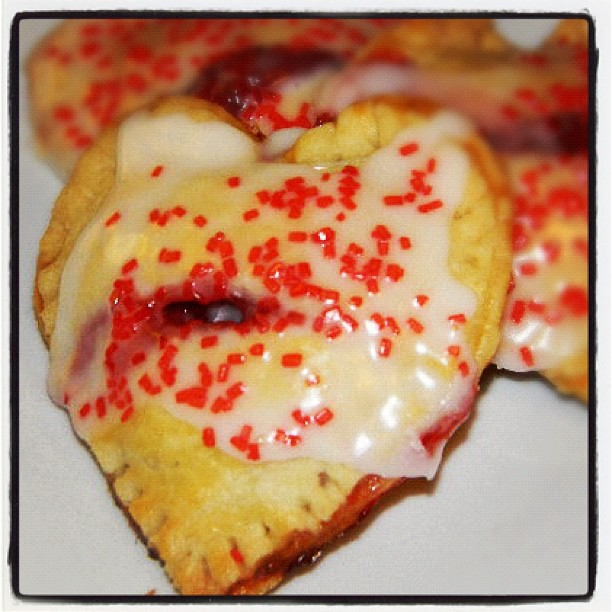 Happy Valentine's Day...Guest Post #2...Strawberry Pop Tarts! The second guest post is by a friend I met back in college...mister Thomas Doyle...and by met I mean I was interviewing for his current position and he was in the room with about 4 other people asking me questions during one of the scariest interviews I have had to date. Ultimately, I became his predecessor as ECU's Student Union President, which basically means he taught me everything I needed to know to be successful in my position. To this, I owe him a huge THANK YOU, because that year gave me experience that helped me get my current job. This weekend I felt like making a little ice cream. Actually, I have been planning to make this ice cream for months and stuff always just came up or the task of making ice cream felt too daunting. But this weekend, I put my game face on and got it done. Once again realizing when I was done, how simple it really can be to make ice cream. Oh and I almost had an ice cream disaster. How better to round out a weekend, than with this Chocolate Bourbon Praline cake? Okay the weekend...easy Friday night relaxing after a crazy busy week. Saturday: Long run Saturday morning (half marathon officially less than two weeks away); DC Grey Market Saturday afternoon; and a celebratory dinner Saturday night at Sonoma. I still can't believe that Charles is moving to Scotland...and that it is already February. Seriously though where did January go? 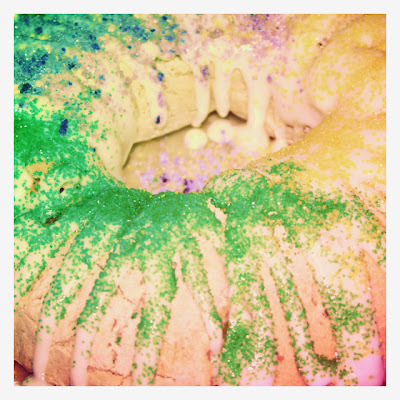 Sunday: run errands and make this cake!